There can only be fewer things interesting than witnessing a fast bowler run through the opposition ranks on an absorbing day of Test cricket. In an era where there have been merciless battles between batting line-ups rather than a fair competition between the bat and the ball, we have simply forgotten how joyous those days were when the sound of rattling stumps reverberated in the ears of the spectators and deliveries like thunderbolt whistled past the batsmen’s noses. However, all hope is not lost yet as we occasionally come across what we call magical spells of fast bowling and the one that just enthralled us was the sight of Kemar Roach tearing through the visiting English side on his home turf at Bridgetown, Barbados on day 2 of the first Test match of the three-match series. The hostile bowling effort of Kemar Roach alongside the relentless pressure built up by the other three pacemen Alzarri Joseph, Shanon Gabriel and the skipper Jason Holder saw the much talked about English batting line-up crumble like nine pins just for a lowly 77 all out. Roach’s five-for and an intriguing spell of fast bowling definitely brought back the memories of Jerome Taylor’s effort In Jamaica ten years ago against the same opposition when he ran through the Poms, dismantling them just for 51. How often do we see parts of all the four innings being played in a single day of a Test match? It is very rare and one of such a memorable instance of recent past where we saw all the four innings in a day was around seven years back in 2011 at Cape Town when South Africa took on Australia in a fight of equals. 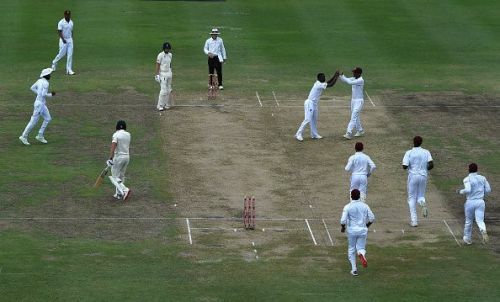 With West Indies reduced to 5/61 at one point in their second innings, following the dismissals of four of their batsmen for the addition of just a single run, another West Indies batting collapse and certainly another instance of playing all four innings in a day looked probable. However, counter-attacking defiance from young Shimron Hetmyer and wicketkeeper-batsman Shane Dowrich shut the doors for such a potential let-off as Windies. They ended the day at the loss of 6 wickets, having registered 127 runs on the board. 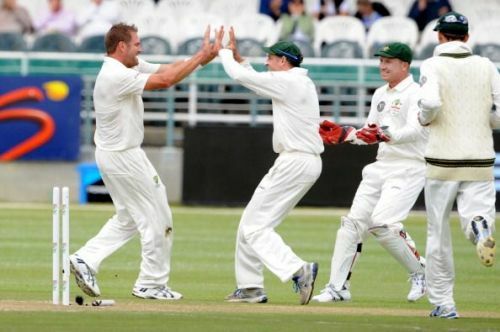 Effectively, they lead by 339 runs to mark an end to what was an absorbing day of Test cricket which saw bowlers having the last laugh with the total of 18 wickets falling in a day’s play. Analyzing the current West Indies team, even though it looks like a relatively inexperienced side at this level, potentially boasts of promising prospects not only in batting terms but also in the bowling department. They will now be looking forward to wrapping up this Test match with a memorable victory over the mighty England in the coming day or two. What to look for in the West Indies vs England ODI series?